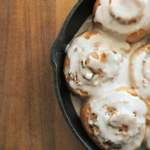 These depression era recipes are both delicious and budget-friendly. “Reduce, Reuse, Recycle” is something we hear a lot of these days, but this not a new concept in the wake of trying to make the world a better place to live, or just a trend to hop on. During the depression era the mantra, “Use it up, wear it out, make it do, or do without” was that time period's way of life. In a lot of ways, it was similar to how folks who live very frugally try to live now. 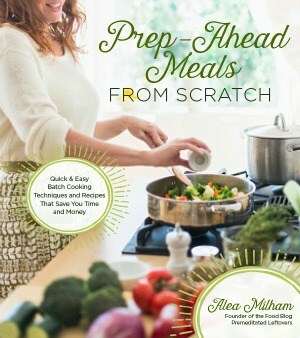 Recipes used low-cost ingredients and didn't use anything of convenience. Depression-era recipes were often designed to be filling and made with a small number of ingredients that most families could afford or grow on their own. 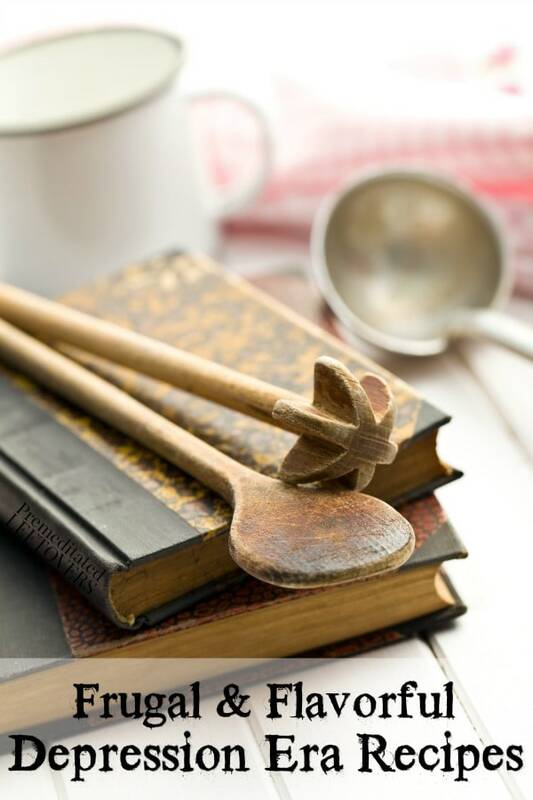 The depression era was a time when families prepared just about everything from scratch. Not only did most of our modern conveniences in food not exist yet, but it was really a matter of doing things the cheapest way possible. 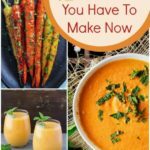 Just because we are not living during that time period does not mean families are not struggling to make ends meet now or that you can't employ some good, old-fashioned, made from scratch cooking at home to help you save some money. And, low cost does not mean low in flavor, either! 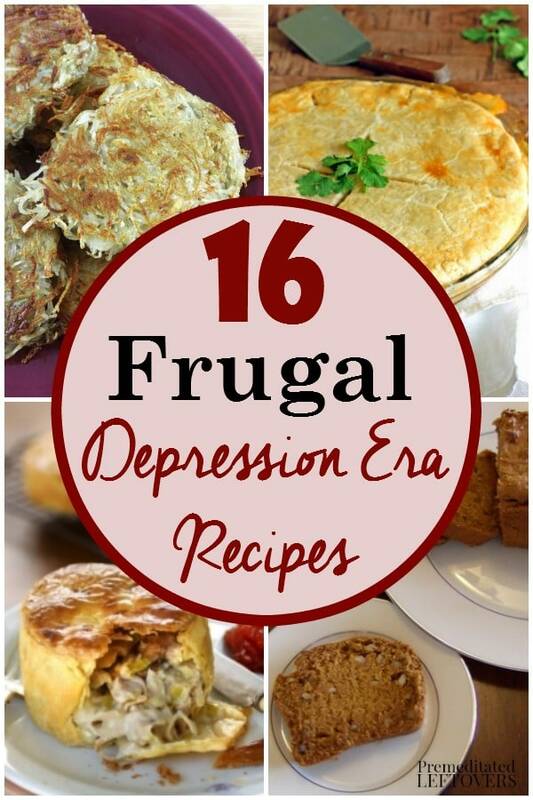 Here are 16 Frugal and Flavorful Depression Era Recipes to try in your own kitchen. Try this classic version of vanilla cake with this Depression Era Vanilla Cake recipe that has no eggs, milk, or butter which were hard to find during the depression era! You can find more Depression Era Dessert Recipes here. 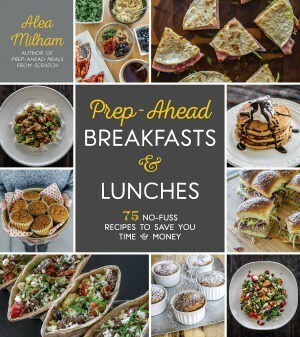 About.com has a great recipe for Depression Era Potato Pancakes that would be perfect for a filling breakfast. Hamburger SOS is a cheaper version of chipped beef that is a classic depression era recipe. This verison is from Just a Pinch. Make a classic Depression Meat Loaf with this recipe from Moms who Think. Lots of families made meat dishes with fish because meat was scarce during World War II. Check out this recipe for Fish Chowder from Taste of Home. Many people would make their own noodles for pasta dishes because it was too expensive to buy it during the depression era. Here is a great recipe for Homemade Pasta Noodles from the era from Hubpages. 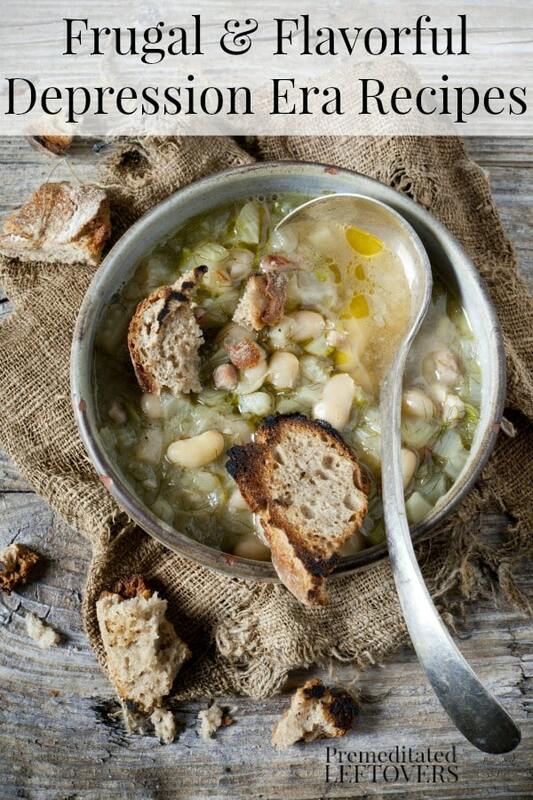 White Bean and Ham Soup was a staple in many households during the Great Depression because it allowed meat to be stretched far and leftovers to be used up. Here is a recipe from Cheap Cooking. Foraging was a great way to get food for hungry families during the era and this Dandelion Salad from Martha Stewart is a perfect way to try this. One word of warning; if you get your own leaves, make sure no chemicals have been used. Making bread from scratch was something every home cook did in the depression era and this simple Basic White Bread Recipe is a great one to make at home. Goulash was another wartime and depression era staple on most dinner tables. Try this recipe for Ida's Depression Goulash from Big Oven. Poverty Pie was made from what people could hunt and forage for (rabbit and mushrooms), but you could make it much cheaper without any meat. Unless you happen to be able to hunt rabbit, of course. These Wartime Vegetable Turnovers from The 1940's Experiment are perfect for a meatless Monday meal and they remind me of the pasties my grandparents used to make. Ham and Mashed Potato Pot Pie from Chelsea's Messy Apron was the perfect filling meal for the Great Depression era as well as a great comfort food. This Vintage Banana Cake Recipe from Flour on my Face is from the 1930's. Have you ever made Survival Casserole like the one on Backdoor Survival? It's basically made from things you probably already have at home in your pantry! Have you ever tried Tomato Soup Cake? It was very popular in the depression era and it tastes way better than it sounds! Just came across your page. GREAT job i love everything i have read. This is how we ate when I was growing up in the ‘40s & ‘50s, my parents having gone out to look for their first jobs after the Great Stock Market Crash of ‘29. Reading a lot of these recipes I plan to try them. 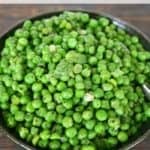 We really do not use much in the way of convenience foods in our house but I am always looking for recipes for cheaper but flavourful dishes. Enjoyed the read very much. Thank you.